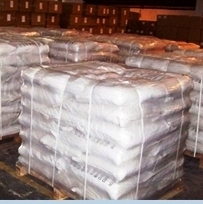 For MSDS SDS of SandLOK Sand Consolidation System Manufacturers Please write to us. 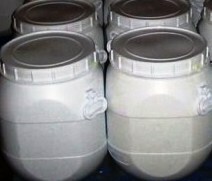 The SandLOK is an aqueous-based sand consolidation system that chemically binds the sand grains while maintaining sufficient permeability to achieve the production rate. SandLOK is a two component system that is designed to be injected into the formation to control the undesirable production of sand from weak sandstone formations. Use a 60 ml syringe, blocking off one end with glass wool and pack with ~50 g of sand, flush with 2% KCl and determine the pore volume of the sand pack. Prepare SandLOK solution. The ratio of the SandLOK A and SandLOK B is 3:1 – 4:1, depending on the pumping time and set up time required. Flush 1 pore volume (PV) of the SandLOK solution through the sand pack. 2% KCl post-flush can be applied immediately after the SandLOK, or the post-flush can be delayed so the SandLOK can polymerize and form a network in the matrix. The SandLOK system is very versatile and the volume, the set up time and post flush can be designed and adjusted based on the need. Set in the oven to allow the SandLOK to cure. The curing time is between 5 hours and 24 hours depending on the reservoir characteristics, the bottom-hole temperature, the ratio of SandLOK A to SandLOK B, the post flush time and volume, etc. Each application needs to be pre-tested in order to determine the optimum treating conditions. Figure 1 show the sand block made with 100 mesh and 20/40 mesh sand. Flow rate of the core was measured using the shown in Figure 2. Strength of the core was measured with the Instron 3360 Figure 3. The cross sections of the consolidated cores are shown in Figure 4. Figure:1 Sand and consolidated sand blocks. Figure 2. 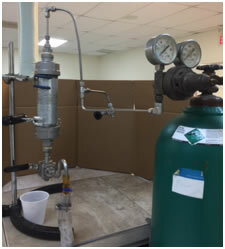 Flow rate testing apparatus. Figure 3. 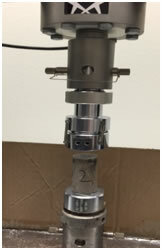 Instron Model 3360 for Strength Testing. Figure 4. Cross section of broken consolidated cores. 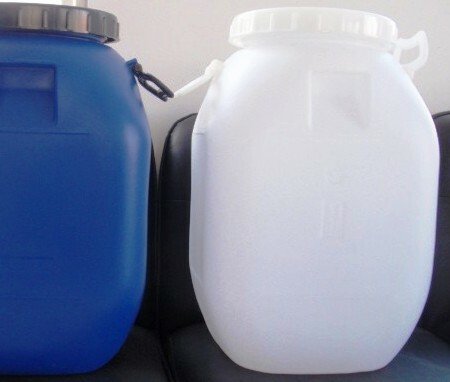 Packaging: SandLOC-A and SandLOC-B are packaged in 55 gallon drums.